Halloween isn’t about getting hold of candy. It’s about who is in control of the supply. And when it comes to Overwatch, only one character is in charge: the dad. 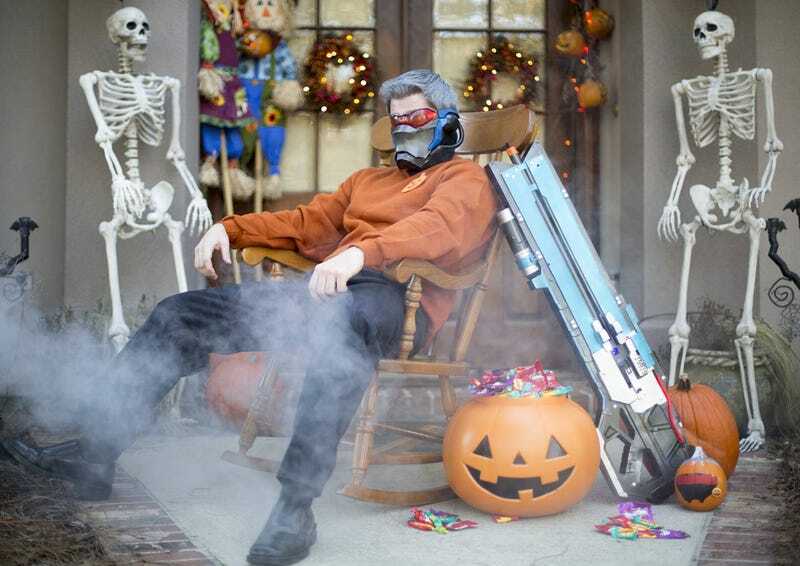 Cajun Captain Cosplay dressed as Dad 76 for Halloween, and went all out, with t-shirt, dad shoes, dad pants and rocking chair (to match Soldier 76's Halloween spray). All photos by Vanessa Wright.